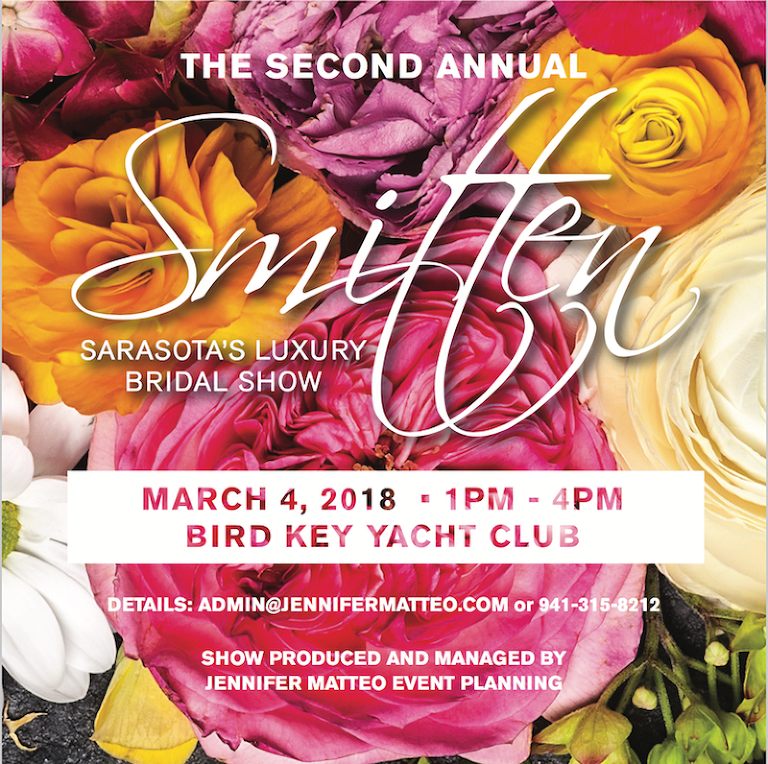 Mix and mingle with premier wedding vendors on Florida’s Gulf Coast while being treated to a VIP experience at this by-invitation-only bridal experience: Smitten: A Bridal Show by Jennifer Matteo, on Sunday, March 4, 2018 from 1-4 p.m. at The Bird Key Yacht Club in Sarasota. Couples will be welcomed with a glass of complimentary champagne and concierge wedding planners courtesy of Jennifer Matteo Event Planning. You’ll also have the opportunity to win a dress designed by Camilyn Beth! This bridal show is designed with luxury in mind. Enjoy being spoiled and treated with the premier bridal experience! One of out favorite features of this show is the only “Pamper Lounge” in the industry, treating you to beauty services while you meet the premier Sarasota wedding vendors. You won’t just collect business cards, but you get to experience what they can offer you on your big day!